At first glance, there is nothing to London Road except a mishmash of shop fronts, infills and traffic and that can often offend those more used to gleaming shopping centres and pedestrianised streets but you must look further into the character of both the shops and the people who belong to London Road. My wife and I grew up in Nottingham and we both remember similar streets, indeed, my father had a thriving pharmacy on one such street now demolished. Everyone knew my father and so everyone knew me. St Anns Wells Road, Alfred Street and Arkwright Street all provided everything that you needed from sweet shops and cake shops, milliners, butchers and bakers, green grocers and grocers, a Home and Colonial, a Dewhurst’s, book shops and cafes, a pub on every corner and almost as many churches. To me, London Road is the same. 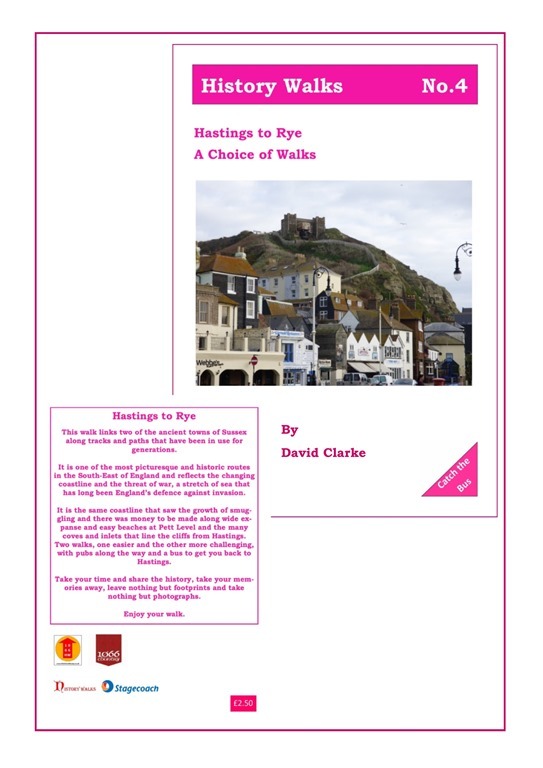 A pint in the CAMRA award winning St Leonard, creaking with atmosphere, old settles, wooden floors and life, helps the musings for ‘Pub Walks in Hastings and St Leonards’ and the forthcoming ‘Pub Walks in 1066 Country’. 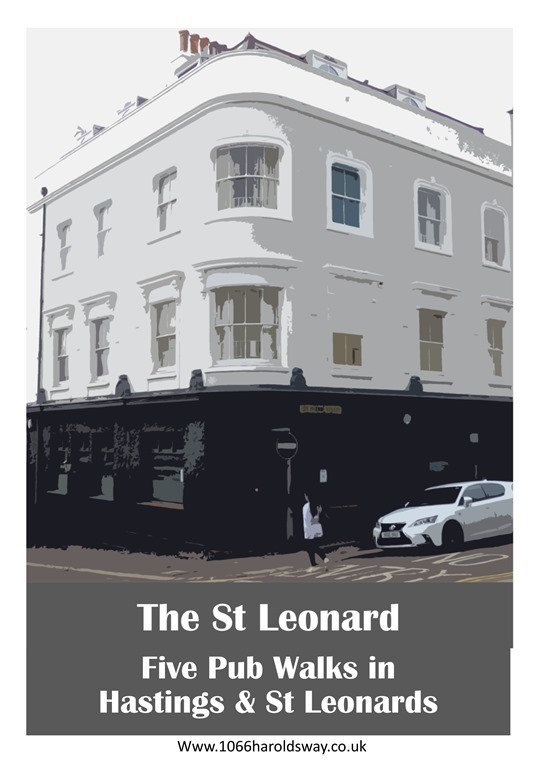 The St Leonard is not some country pub but a warm and friendly town pub, refurbished in 2012, (it was formerly known as The Warrior Gate a corruption of the original 1833 name Warhouse Gate, taken from the name of an old lime kiln). Now its wooden floors, mismatched tables and chairs, local art work and three regularly changing guest beers create a busy urban chic. There is popcorn served with drinks and a food tasting menu available that includes sausage rolls, scotch eggs, charcuterie plate and pork pies and pizzas can be delivered to your table. On one visit, I tried Brighton Bier South Coast IPA 5%, St Austell Trelawny 3.8%, Hogs Back TEA 4.2% and a taste of Prehistoric Amber 4.5%. All were well conditioned and well-kept but on the next visit, they are likely to have changed. Another time, I was impressed with the Franklins St Leonard, Franklins Greedy Guvnor as well as the Hogsback T.E.A.- again! There is always a welcome and despite the restricted hours (Wednesday to Saturday 5pm -11pm and Sunday 3pm – 9pm) it is one to visit, to drink a pint and to sit and think – after all, they say that there is a book in us all! With such restricted opening hours it may be one to note in that black beer stained notebook to return to later. If it is closed, there is consolation opposite in The Oak Bakery where money can be invested in their wonderful and moreish ‘Portuguese tarts’!